With February being LGBT History Month and 2018 the Scottish Government's Year of Young People, we celebrate the achievements and stories of young change-makers from within the LGBTI community. Alex Muir has taken a lifelong love of sports and used that love alongside his own experience to achieve wonderful things for the community. I have been playing a variety of sports since I was in primary school. I have always loved being part of a team and the obvious endorphin rush of pushing yourself to be the best you can be. I have tried to keep this up though secondary school and university life. From that initial hook, Alex has experienced the barriers that exist within sports, facing trans and gender non-conforming people – those issues still often, sadly, being hardwired into the organisation of sports provisions and encompassing access, facilities, practical considerations, competitive rules and lack of awareness within the wider culture. The main difficulty I have faced in sport was when I came out as trans and started my transition. I realized that a lot of team sports that I had previously enjoyed were now shut to me. Even now that I have been on hormones for over a year, I still feel uncomfortable using the male changing rooms until after I have my surgery. This has limited the sports I can do, pushing me more towards maintaining my fitness by just using the gym. However here there is still the issue of changing rooms and working out in a binder. I was motivated to do something in this area as I was researching the different areas of trans healthcare in the UK. Currently, it takes twelve months to get your first appointment at the Sandyford. This meant I had twelve months to find a way to cope with gender dysphoria. One of the things I found that worked was regular exercise. On one hand it helped maintain my mental health; on the other it allowed me to reclaim some bodily autonomy, meaning that I could work out to change my body in a way that more reflected (the stereotype) of my gender identity. From there I worked to try to find a way to open up the sports facilities on my campus to other trans and gender non-conforming students. He drew from this knowledge a template for action, to widen and broaden the access to and inclusivity of his university’s sports services. These actions culminated in the creation of TSI - Trans Sports Initiative. 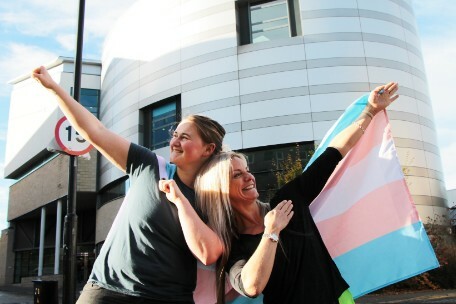 It is a sports program that encourages trans and gender non-conforming students at the University of Dundee, Abertay and Dundee and Angus college to get back into regular exercise. The program is in partnership with the University of Dundee Institute of Sport and Exercise (ISE). Those who sign up get a four-week trial membership to the ISE, as well as 2 sessions with a Personal trainer. (All of whom have been trained with the Scottish Trans Alliance). To my knowledge, it is first of its kind in Scotland. In terms of achievements, having it covered on STV news was pretty cool. 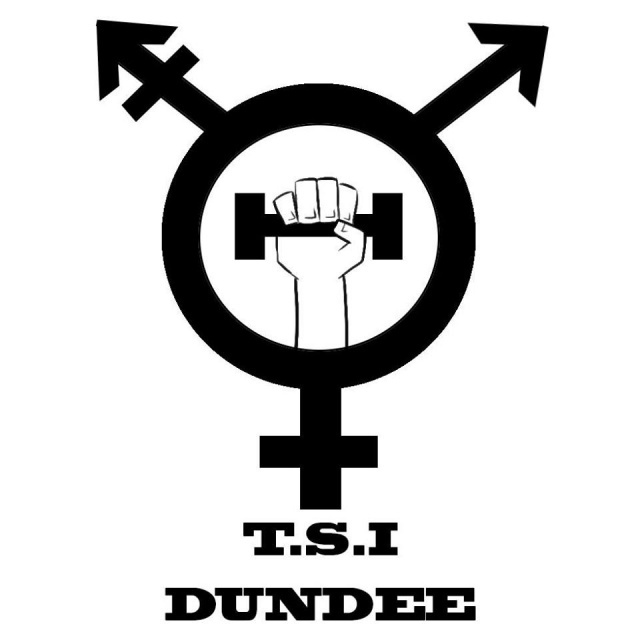 Alex and the TSI have established a template for other sports unions and sports providers to look to when working to improve their accessibility and inclusivity for trans and gender non-conforming people, one which incorporates intersectionality and the autonomous self-representation and expertise of trans people themselves. This is in addition to demonstrating the need for and effectiveness of actions such as those of the TSI. Next steps. I’m currently working on a guide for trans players on the different rules and regulations when it comes to playing in different sports. While the gym is fine for some, the next step is to get more people engaging in team sports again. The aim is the booklet will have the rules from the sport governing body, the Sports Council and BUCS. As well as a comment from the Dundee team captains at the time showing their commitment to making their teams more inclusive. It is a privilege for LEAP Sports to be supporting Alex and the TSI. You can find out more about the Trans Sport Initiative here. Written on 28th February 2018.